Inky Paws Challenge: Inky Paws Challenge #39 - Use a Heart! Inky Paws Challenge #39 - Use a Heart! Create a project using a Heart somewhere on it! You have TWO WEEKS to play along - Deadline to enter is Friday, January 27th, 2017 at Midnight CST. The winners will be announced on the NND blog the following Monday. Several of our Design Team Members decided to play along - check out all the awesome cards they created, inspired by this fun, festive theme! Read the description below each card to see who made it. Debbie Owens made a card that incorporates the theme and the colors from the photo. 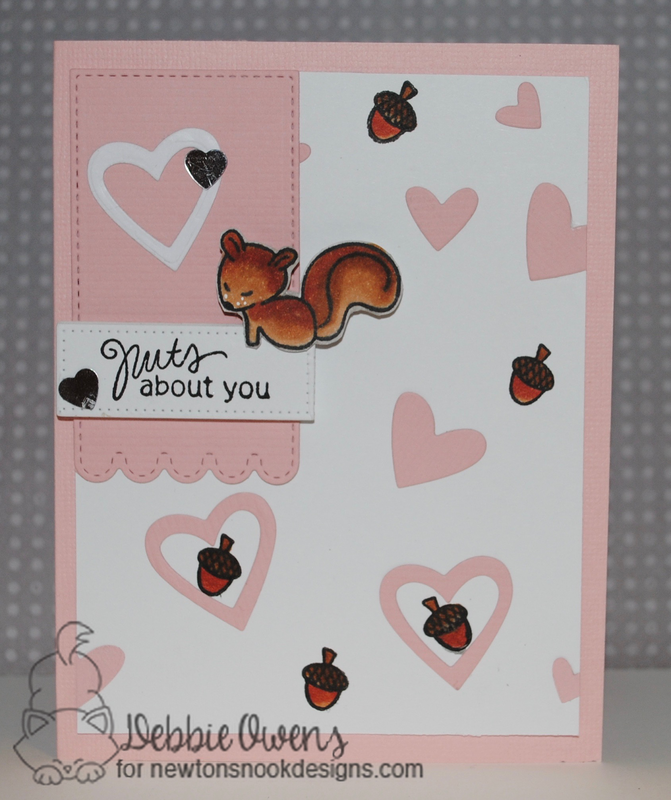 She used the squirrel and nut from the Sweetheart Tails stamp set to create this super cute love card. This card is by Samantha Mann! This fun lemur is from the Wild About Zoo stamp set and the die is from the Darling Hearts Die Set. Such a pretty love themed card. Tatiana Trafimovich created this beautiful winter scene! She used the adorable snowmen from the Frozen Friends stamp set to create this sweet winter card. This card is by Jess Gerstner! 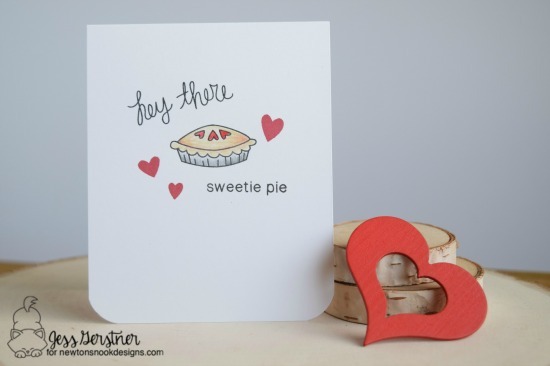 The pie and sentiments are from the Love à La Carte stamp set and the solid hearts are from other NND sets. This is a clean and simple Valentine that would be easy to mass produce. Here's a card by Jennifer Jackson! 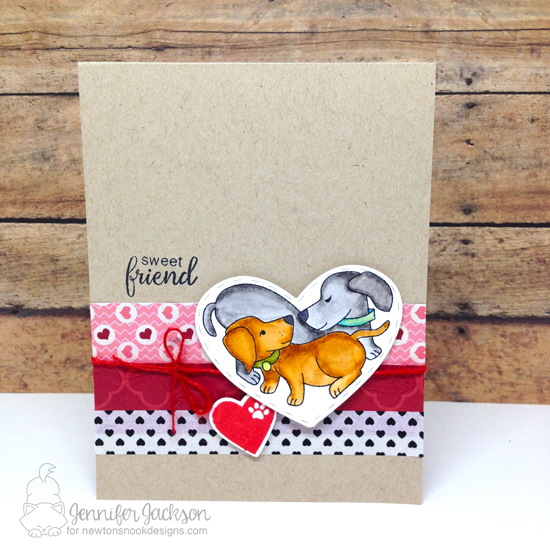 She used the image of the two dogs Darling Duos stamp set and the coordinating Darling Hearts Die Set to create this adorable Valentine. Amazing inspiring projects! Can't wait to see all the entries! Oh these are super sweet inspirational projects! :) I'll be playing! Fun challenge theme and very cute inspiration! 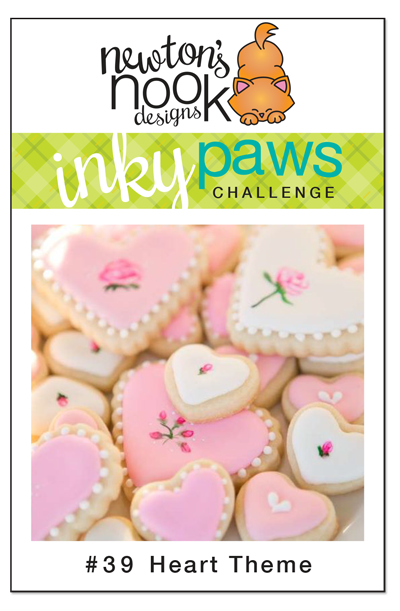 Inky Paws Challenge #39 Reminder--Use a Heart!